Unfortunately, defective products causing injury to elderly patients is not uncommon. This can lead to prolonged periods of recovery and high medical expenses. However, it is important to know the difference between injuries that are the result of defective products and injuries that occur because of product misuse. The first falls under product liability – a specific area of the law that holds companies responsible for any injury that is the result of a product they sell, distribute, create, or design. The definition is commercially produced goods unfit for intended use. They may lack sufficient instructions for using the product safely or pose dangers that are not immediately obvious. The three different types of defects include marketing, manufacturing, and design. An incorrect design may mean the product does not achieve its intended goal. Even if the design is flawless, if it is poorly manufactured it may lead to problems. Finally, not warning patients about possible dangers that may occur while using the item is a marketing defect. What Types of Products and Medical Devices Lead to Problems with the Elderly? Four distinct categories commonly lead to issues with elderly users. Some of these products are less likely to cause issues in nursing homes than others are. Consumer goods – There are some consumer goods that are safe for younger users, but may be dangerous for elderly users because they have reduced reaction times and decreased strength. Examples include kitchen appliances, furniture, and bath equipment. Medical implants – Stents or artificial hips may wear out prematurely or malfunction. A good example of this would be the recall of DePuy artificial hips. In total, almost 100,000 people were affected because of this recall. Similarly, the recall of the Stryker Rejuvenate ABG II hips. Medical equipment – Medical or durable medical equipment (DME) such as hospital beds, walkers, and wheelchairs may be very difficult to use. This means it is easy for the user to hurt him or herself without the proper training or instructions. 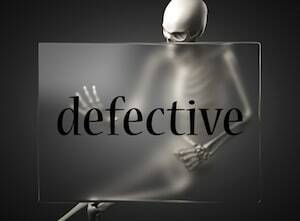 Defective prescription drugs – Sometimes prescription drugs are used to treat one medical condition, but have such dramatic side effects that they lead to other problems. Examples here could include heart attacks because of diabetes medication. Many elderly patients are unable to recover fully after a serious issue with defective products. This brings additional physical pain and mental anguish along with it, and often leads to increased medical bills. It is true that the manufacturer plays an important role here, but the nursing home also needs to play its part. Especially when providing certain items for their residents, these nursing homes have a duty to purchase their products from reputable manufacturers. If you believe that defective products are causing problems for you or someone close to you, remember that legal action is not always about money. It can be about holding those people who are acting negligently responsible to make sure that others never have to deal with the same problems again. What distinguished Nursing Home Law Center LLC from other law firms handling medical device and drug recalls is that we focus on several areas exclusively. This level of focus allows us to concentrate our resources into specific cases to achieve superior results for our clients. Before you talk to a general ‘product liability law firm’ that you may have seen on television, give our office a call and talk with an attorney who has experience handling cases like yours. Dangers Related To Byetta And Januvia Not New Although the latest warning from the FDA regarding drugs like Byetta and Januvia only came in March 2013, the dangers have been known for many years.